Hi. We are having an issue with exported VSDX diagrams, where the shape connectors disconnect from the shapes when you move objects around. We are using version 6.5.1.451.We have checked all settings, glue, etc and they are enabled. Attaching a screenshot. Thanks in advance for any advice! I think you'd get that if you enable the DynamicsOff property, try disabling it. Please attach the diagram saved as xml file otherwise. Please let me know if you can take a look. Thanks again. Could you attach the file created by Diagram.SaveToXml method instead? Will this work? This is XML exported from our export tool by saving the diagram as VDX, then opening that and saving from Notepad++ as XML. You are populating a Diagram instance at some point before calling VisioExporter, right? Please call the Diagram.SaveToXml method on it and attach the created file. 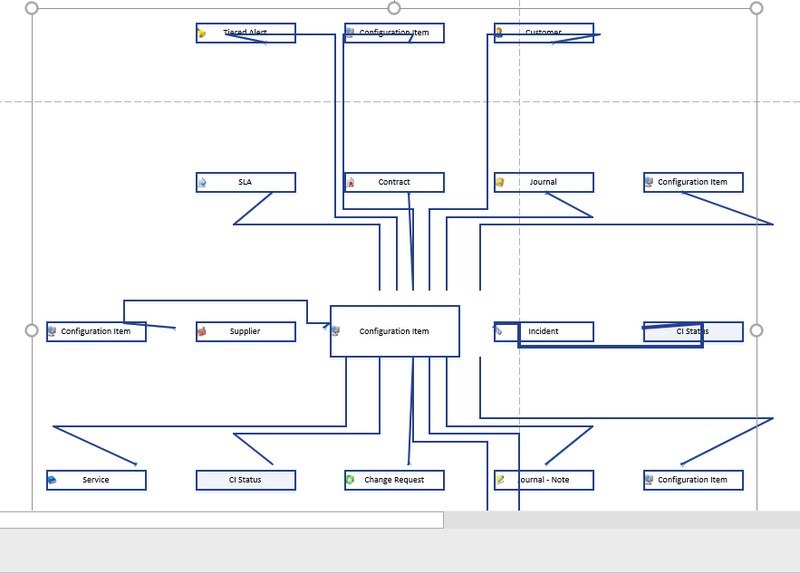 If you don't keep a separate Diagram field, it should still be accessible via DiagramView.Diagram property. 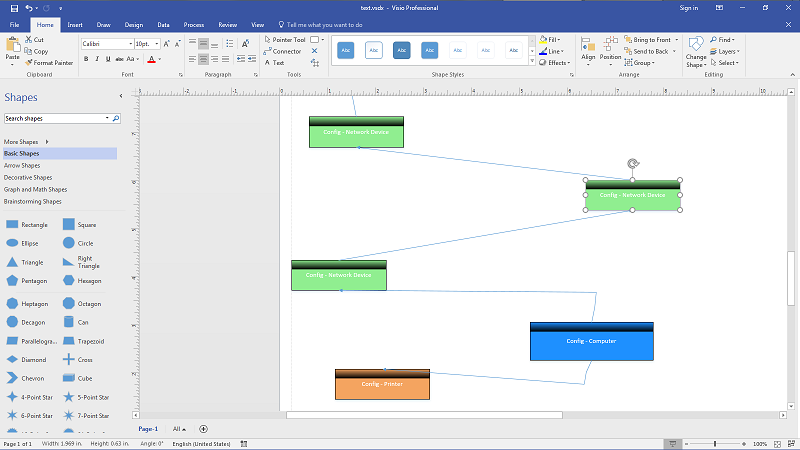 We need to check the original diagrams on which VisioExporter works, and the files attached so far are Visio documents. Thanks. I will see about getting you that file today. Here is the file. Thanks for looking! Thanks. Can you try this: Select All and drag one of the corners of the entire diagram inward, to shrink down everything. Does it come unglued then? That's what we are seeing. I will look into this upgrade while I wait to hear back. Where do I need to go to get the latest build? Right, resizing doesn't seem to update links on some sides correctly, our developer will investigate. Great, thank you and please keep us posted.